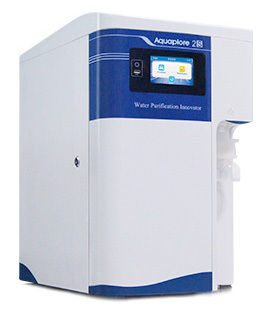 Aquaplore 2S is an optimized design for users who do not have special environmental management requirements. 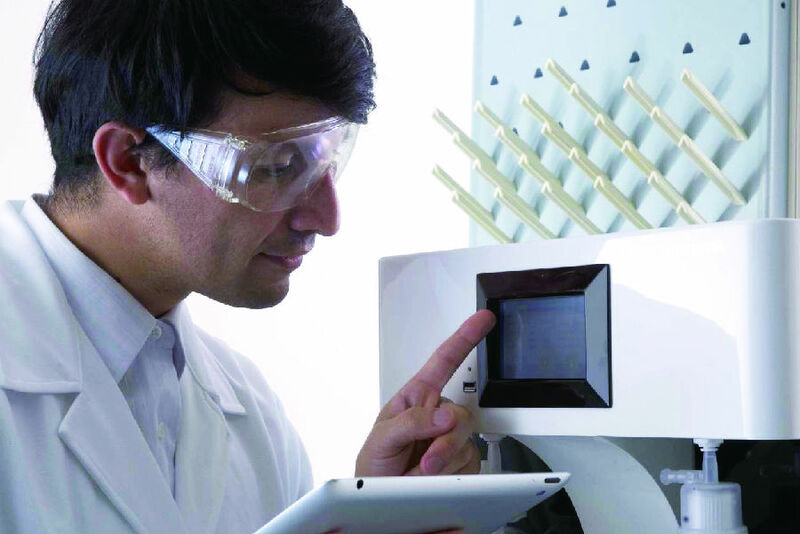 A variety of special purification technologies are used to reduce overall purification costs, and with our latest intelligent management system, you can monitor all the purification process in real time and ensure that your ultra-pure water quality is consistent. 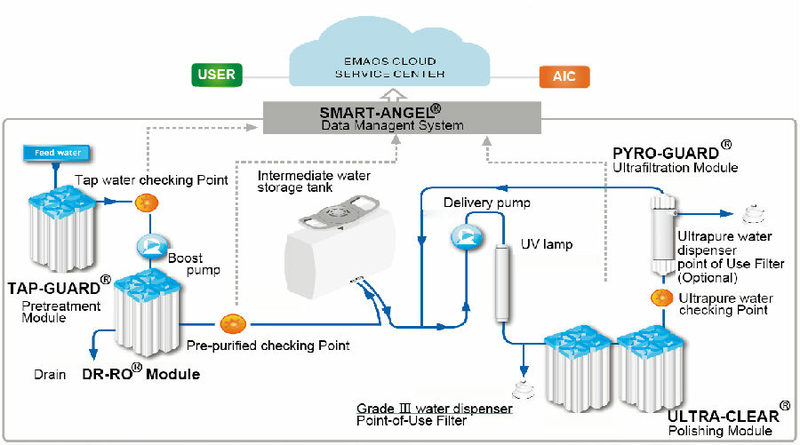 This system also been involved in AIC water cloud service scheme without paying expensive procumbent cost. With unique DP-RO technology to extend the durability of ultra-purification unit, while reducing the operating costs of the system. Comprehensive monitoring and management of critical parameters through the purification process to ensure reliable water quality. Intuitive Graphic User Interface provides youaccess to all thesystem information clearly displayed on screen.Nothing to learn, instinctive to use following the icon touchscreen human interface. 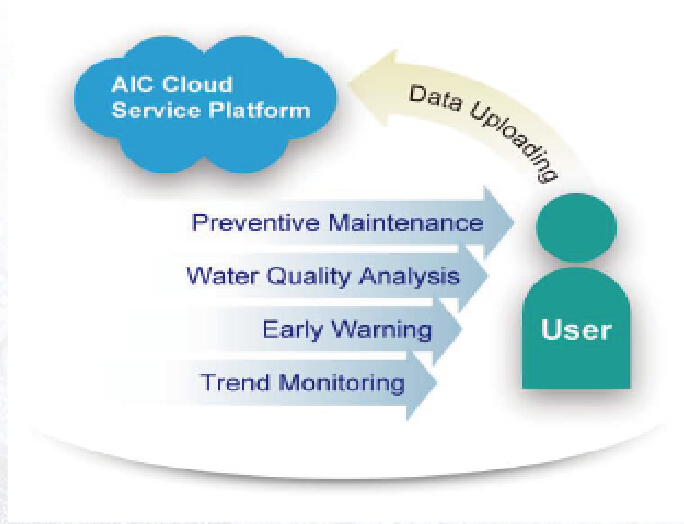 Use AIC Water Cloud Service Scheme you can get the most proactive preventive maintenance advice and solutions to free you from the routine maintenance but still achieving quality compliance. The patented DP-RO technology is capable of intercepting more than 99.5% of contamination and coping with the different feed water variations. By ensuring production of reliable ISO Grade III water from tap water with conductivity lower than 1000μS/cm. DP-RO technology greatly improves the procurement and operating costcompared with EDI technology in Lab water systems, and allows the extension of the system’s endurance to adapt the quality variations from city water sources. Including feed water quality/ pressure/ temperature/ flow rate;intermediate water tank level, pure watergenerated, ultra-pure water used, system running period, dispensing period, dispensing quantity, plus which user dispensed including accumulated overall amounts, all the different purification unit capabilities for future running. All the critical running parameters are fully monitored and self –diagnosed which makes sure the system is running correct and savesall the key information in the memory for any inquiry. Intuitive Graphic User Interfaceprovides youaccess to all thesystem information clearly displayed on screen, from running status to water quality; from purification capability to water usage record. This unique feature simplifies all queries and control operations into a few finger touches. Nothing to learn, instinctive to use following the icon touchscreen human interface. Now you can focus more on your work! Just upload your data to our cloud services center, and our well-trained and certified engineers will review the data for regular inspection and trend analysis. Meanwhile providing you with the most proactive preventive maintenance advice and solutions to free you from the routine maintenance but still keeping achieving quality compliance.